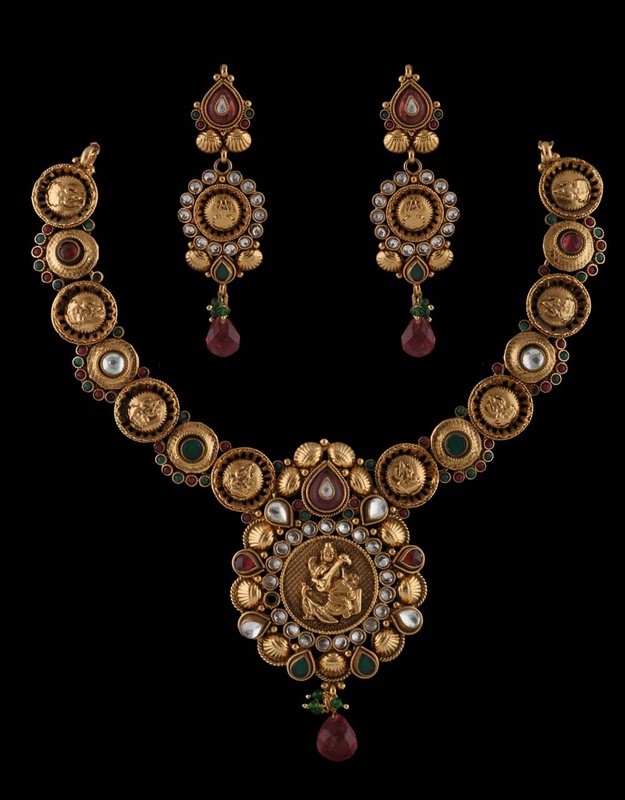 Anuradha Art Jewellery presents this maroon-green colored necklace set to complete your traditional look. It is perfectly studded with polki stones & features excellent temple design. 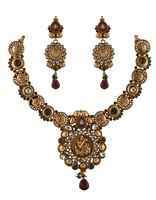 It is crafted from 40% silver & golden polished copper.